Morgan decided that he would like to re-work the Re-series of albums, inviting guest musicians to participate, and add two new albums to the series. He made a start by recording this album with Mamadou Doumbia, a Tokyo-based musician from Mali who used to play guitar with the great Salif Keita. Mamadou was brought up in the griot tradition of wandering musicians and story tellers, and for this album Morgan invited him to play the kora (a kind of African harp) and ngoni (a banjo-like instrument) as well as acoustic guitar. Morgan let Mamadou improvise to his heart’s content, then added keyboards and various sampled sounds to make a rich and energetic brew. A couple of tracks here were also made in homage to minimal music pioneer Terry Riley (who Morgan would later befriend and invite to participate in "Miniatures 2"). 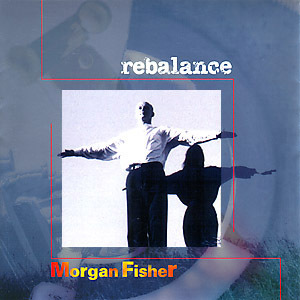 For the new Re-series, Morgan created a special theme song to close each album, and added a subtitle - in this case: "Whirling inward to the still centre - move at your own chosen speed."